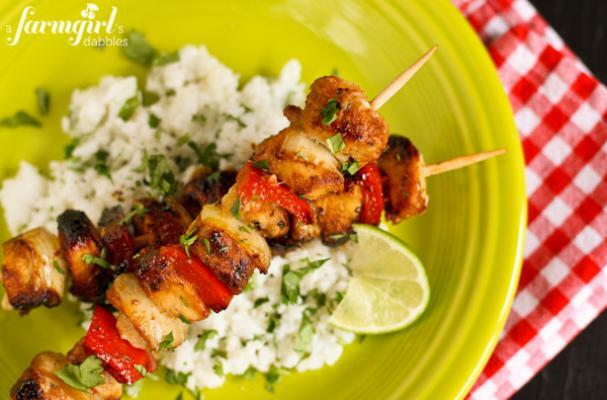 Honey chipotle chicken kebabs from A Farm Girl Dabble's is ideal summer cooking. Cubes of marinated chicken are skewered with onions and red bell pepper. The homemade honey chipotle vinaigrette glazes the meat as it cooks. Serve these kebabs on a bed on brown rice and garnish with fresh chopped cilantro. For full recipe instructions, click here.